Pathum Thanee Folk Dance Group was found since 1933 in Pathum Thani Province, Thailand. 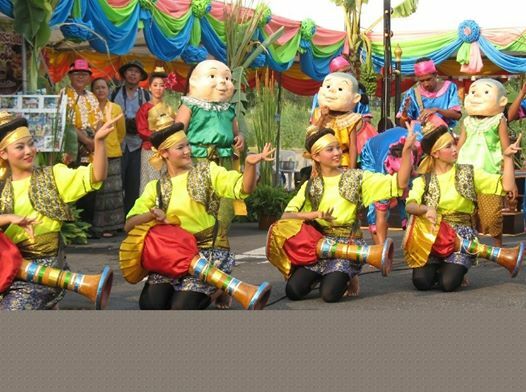 The group is well known for long drum acrobatic dance. It’s believed that the long drum performance is a predominant of Myanmar’s performance hundreds year ago. 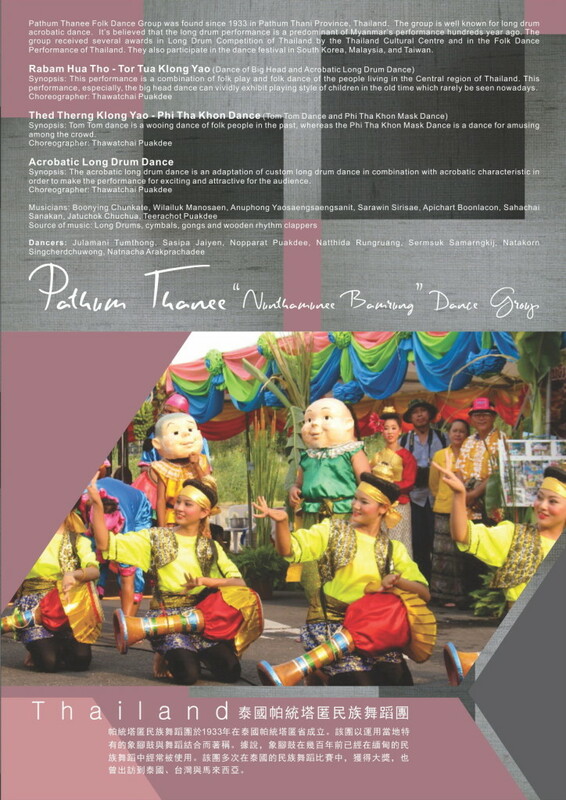 The group received several awards in Long Drum Competition of Thailand by the Thailand Cultural Centre and in the Folk Dance Performance of Thailand. They also participated in the dance festival in South Korea, Malaysia, and Taiwan.